When you are dealing with a major system crash, PC Fixer is the only data recovery company you need. Whether you have lost files because of accidental deletion or because of damage to your hard drive, our well-trained technicians can retrieve your information as quickly as possible and at some of the most competitive rates in Los Angeles. We are experts in restoring files no matter what kind of lost data situation you have. If your loss is due to hardware damage, overwritten files, or corrupt partitions, our staff will solve the problem, retrieve your data and restore your lost data professionally and efficiently. 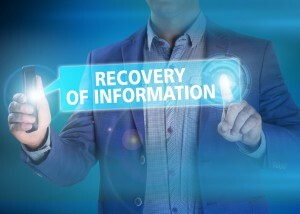 We can recommend ways of keeping better backup records and disaster recovery planning. We can also assist you in selecting suitable secondary storage media for your needs, along with salvaging your valuable information. We offer free courier service to pick up your inaccessible device and deliver your data back to you at no additional charge. We have a success rate of over 90 percent and we are able to recover information from failed hard drives, flash drives, SD cards, RAID arrays, and any other storage medium you may employ. When material is accidentally deleted on a major scale, or when a partition on a disk drive has been corrupted, our technicians have the expertise to salvage your files and restore the information you feared was lost. And when files are lost because of hardware failure or media errors, our service is designed to give you peace of mind regarding the recovery of you important information. We understand how important it is for you to recover your files as quickly as possible, that’s why we work to save you time and anxiety by coming to your location. Our experts can give you the best restoration possible with our onsite data recovery, wherever you are located in the United States. Call us at PC Fixer today at 310.948.0588 and we will come to your office or home and salvage your files, recovering lost data. Please also feel free to email us at info@pcsfixer.com and we will respond to your inquiry promptly.